Sandip H. Patel has broad experience in all areas of patent law. He has successfully obtained patents regarding chemical and chemical engineering inventions for a diverse collection of companies that specialize in commodity chemicals, consumer products, fuel production, pharmaceuticals, and semiconductors. Further, he has managed patent portfolios and offered strategic opinion counseling for these companies to their competitive advantage. Additionally, he has broad patent litigation experience in the district and Federal Circuit courts, and extensive experience in leading interferences, reexaminations, and inter partes reviews before the Patent Office. He successfully served recently as lead counsel in contested interferences and inter partes review proceedings, securing favorable judgments regarding mechanical and chemical engineering inventions. He continues to represent clients in these types of proceedings, including multiple inter partes review proceedings pending at the Patent Office, and interferences, recently including one involving fundamental CRISPR gene-editing technologies. The clients he advises are diverse and include specialty chemical companies, universities, and a variety of large, multinational corporations focused on biotechnology, chemicals, or consumer products. He has a formal education in chemical engineering, but his work has spanned the entire spectrum of engineering and the chemical and life sciences. And through that experience, he has proven adept at quickly understanding diverse technologies and devising efficient intellectual property strategies that clients have used to achieve their business goals. 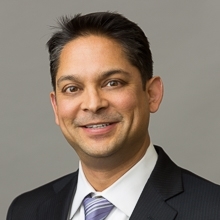 Mr. Patel was selected for inclusion in the 2013–2019 Illinois Super Lawyers® lists. Only five percent of the lawyers in the state were selected for this honor. He was also selected by his peers for inclusion in the 2016–2019 editions of The Best Lawyers in America© in the practice area of Patent Law. In recognition of his outstanding patent work in life sciences, Mr. Patel has been featured as a “Life Sciences Star” in the 2016–2018 editions of LMG Life Sciences. Additionally, Mr. Patel has been named an “IP Star” in the 2016–2018 editions of Managing IP's IP Stars Survey (fka the World IP Handbook and Survey). Successfully served as lead counsel in recent patent interferences and inter partes reviews in the U.S. Patent and Trademark Office, and currently represents clients in other such proceedings there. Over the years, he has counseled clients in dozens of inter partes matters in the Patent Office in a variety of sciences including biotechnology (e.g., antibody formulations, avirulent vaccines, DNA sequencing methods, fundamental CRISPR technologies, genetically-engineered plants, and kerotinocyte growth factors), chemistry/chemical engineering (e.g., pharmaceutical compounds and compositions, food processing chemicals, and chemical and biochemical reactor design and operation), mechanical engineering (e.g., railcar shock absorbers, correction-tape dispensers, paper shredders, computer locks, and infant diapers), and electrical engineering (e.g., piezoelectric ink-jet printers, process control systems and software). Prepared and prosecuted to issuance patent applications relating to consumer products, semiconductors, catalytic reaction engineering processes, industrial chemical compositions, pharmaceutical compositions, and methods of treating various disease states in humans. Counseled clients in patent infringement actions in the federal courts involving biotechnology patents (e.g., antibody formulations, recombinant growth hormone, recombinant erythropoietin), pharmaceutical chemistry patents (e.g., platinum coordination compounds and methods of treating cancerous tumors), and chemical engineering operations (e.g., air pollution control processes and equipment). Sandip H. Patel has been a partner of the Firm since 2002, having joined as an associate following his graduation from law school in 1996. While at the Firm, he has drafted and prosecuted hundreds of patent applications, and has served as counsel in dozens of contested proceedings in the U.S. Patent and Trademark Office and in associated appeals, and as counsel in a number of patent cases in the federal courts. Mr. Patel also served as chairperson of the Firm’s Attorney Recruiting Committee for ten years. Mr. Patel received his J.D. from Indiana University Maurer School of Law, in Bloomington, Indiana, in 1996. During law school, he served as a Notes and Comments Editor of the Indiana Law Journal. He received a B.S. degree (with honors) in chemical engineering from Michigan State University in 1993. "Supreme Court Decision Invites Confusion and Delay," IP Litigator, January/February 2019 issue. "Supreme Court Confirms Secret Sales Can Invalidate Patents," Marshall Gerstein Alert, January 24, 2019. "The Biggest Patent Cases of 2018," Law360, December 17, 2018 (featured quotes). "Industry Reaction to Helsinn Healthcare v. Teva Pharmaceuticals Oral Arguments," IPWatchdog, December 13, 2018 (featured quotes). "Supreme Court Steps in as Grammar Police for AIA's On-Sale Bar," BioWorld, December 5, 2018 (featured quotes).